Chlamydia trachomatis is an obligate intracellular bacterium that infects chiefly urogenital and ocular epithelial cells. In some infected women the microorganism migrates to the upper reproductive tract resulting in a chronic, but asymptomatic, infection. The immune response to this infection, production of interferon-γ and pro-inflammatory cytokines, results in interruption of chlamydial intracellular replication. However, the Chlamydia remains viable and enters into a persistent state. In this form, most chlamydial genes are inactive. An exception is the gene coding for the 60 kDa heat shock protein (hsp60), which is synthesized in increased amounts and is released into the extracellular milieu. The chronic release of chlamydial hsp60 induces a local pro-inflammatory immune response in fallopian tube epithelia and results in scar formation and tubal occlusion. 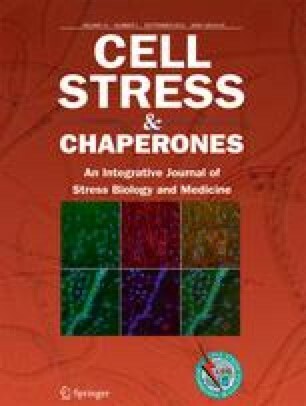 In addition, long-term exposure of the maternal immune system to the chlamydial hsp60 eventually results in the release of tolerance and generation of an immune response that recognizes regions of the chlamydial hsp60 that are also present in the human hsp60. Production of cross-reacting antibodies and cell-mediated immunity to the human hsp60 is detrimental to subsequent pregnancy outcome and may also possibly increase susceptibility to atherosclerosis, autoimmune disorders, or malignancies.